The Singapore Employment Pass (EP) is a type of work visa issued to foreign professional employees, managers and owners/directors of Singapore companies. There is no quota system limiting the number of Employment Passes that can be issued to a company. 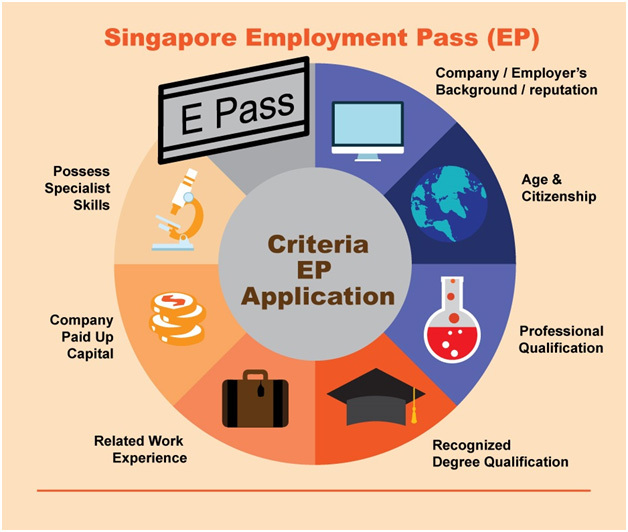 This guide provides detailed information about eligibility requirements, application procedure, processing timeline, and other relevant details about the Singapore Employment Pass. In this document, the terms “Employment Pass” and “Employment Visa” are used interchangeably. The Employment Pass (EP) is normally issued for 1-2 years at a time and is renewable thereafter. An EP enables you to work and live in Singapore, and travel in and out of the country freely without applying for an Singapore entry visa. Possessing an EP also opens the door for potential Singapore permanent residence in due course. 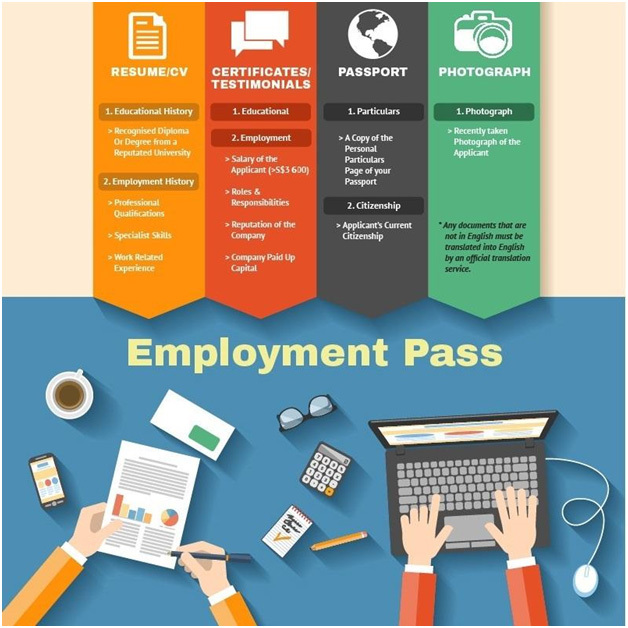 The key facts and requirements for an Employment Pass consist of the following. Aside from the minimum salary, the applicant’s educational qualifications and work experience are also key considerations for the Minister of Manpower in granting the EP. A tertiary degree from a reputable university and relevant professional experience is important. Applicants should be educationally qualified with qualifications from reputable institutions. In some cases, your strong professional-employment history and good salary may compensate for lack of good education. Your proposed employment in Singapore must be relevant to your prior experience and education. The minimum salary requirement of 3,600 SGD (with a recommendation for a salary of 6,000 SGD or higher) is typically applicable to fresh graduates from good-quality educational institutions, whereas older applicants who are experienced will need to command higher salaries in order to qualify. The following required documents must be submitted to Singapore’s government. The fee quoted above excludes out-of-pocket expenses or disbursements such as translation fees, notary fees and Minister of Manpower fee (government fee). If the application is not approved in the first assessment, the Minister of Manpower (Singapore Minister of Manpower) will require additional information (eg business plan, testimonial, employment letter/contract etc) and we will submit an appeal on your behalf at no additional cost. The appeal process usually takes 5 weeks.